Experience the beauty of Garrett Wildflower Seed Farm’s product offerings in this amazing bird’s eye view! We just launched our YouTube Channel and will post more videos like this, as well as How-to’s and other useful information. 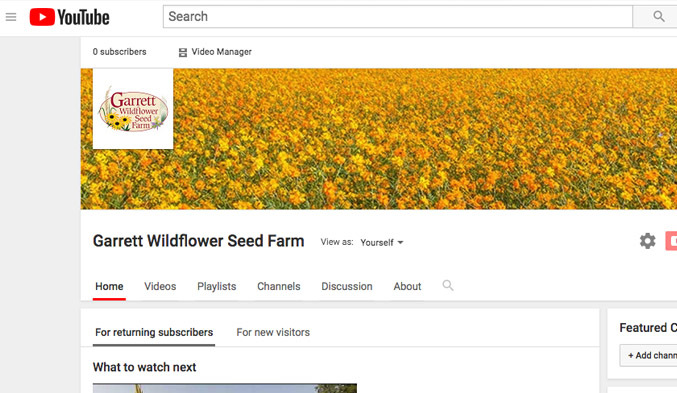 Take a moment to view our new YouTube video and see first hand some of the wildflowers and native grasses we grow on our NC farm.